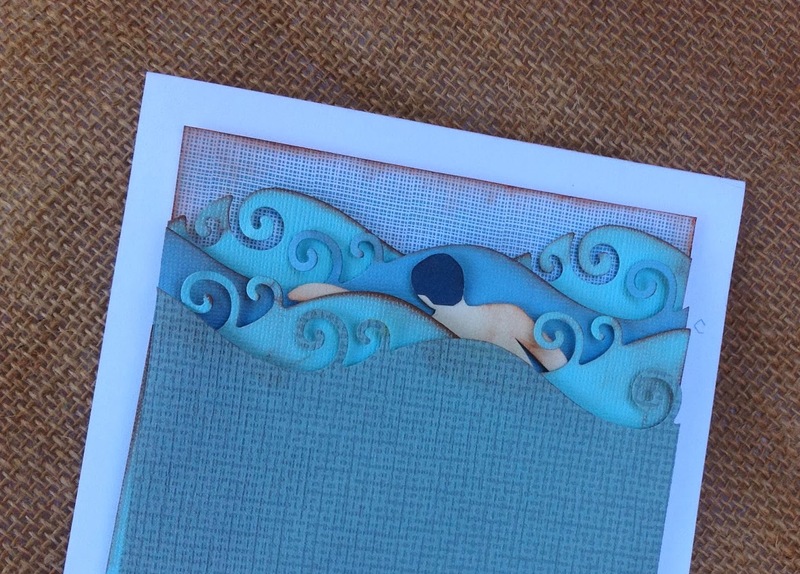 I made this card for my brother's birthday - he has just started sea swimming and has set himself some personal goals for this year! 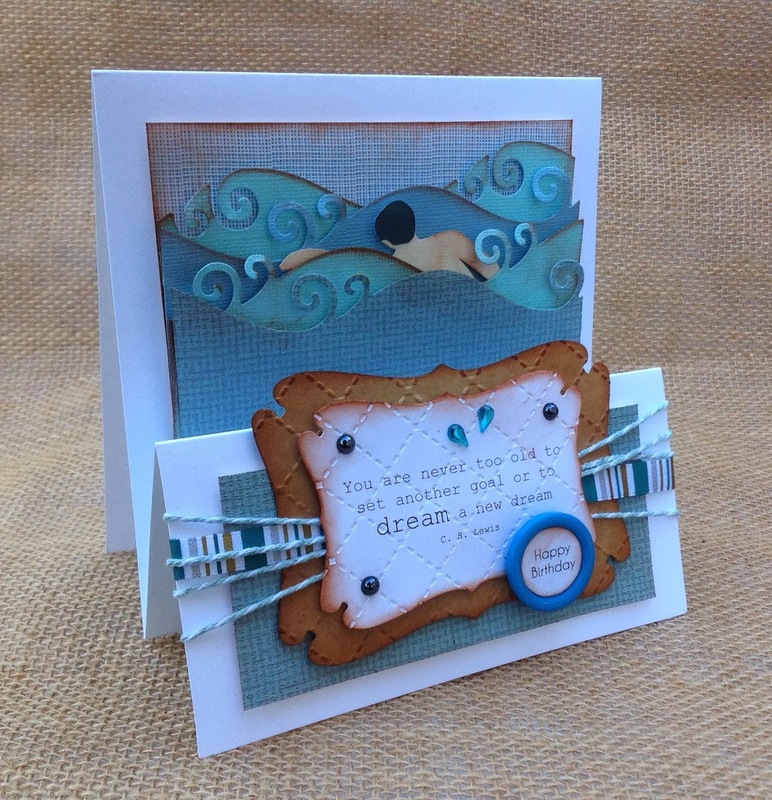 I used a combination of the docrafts Creativity Club Sentiments Collections (1 & 2), Xcut Build-a-Scene dies XCU 503156 (for the waves), Xcut Dies Rectangle Parenthesis XCU 503045 (for the text panel), plus a mix of Papermania Capsule products and a blue wallaper which I got as a sample from a DIY store! 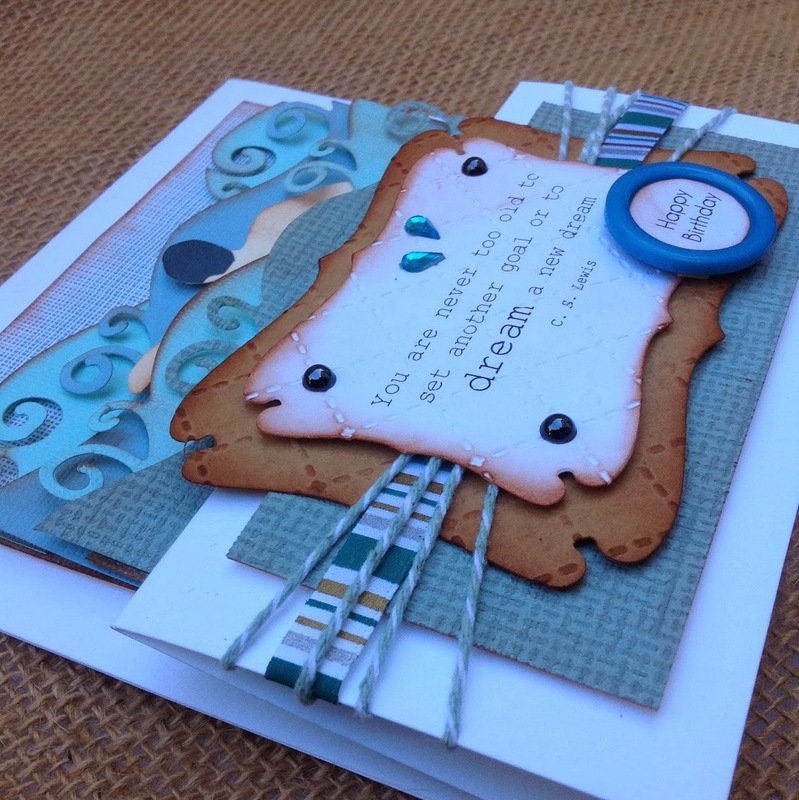 Fab card Jill, Loving all the layers and texture.